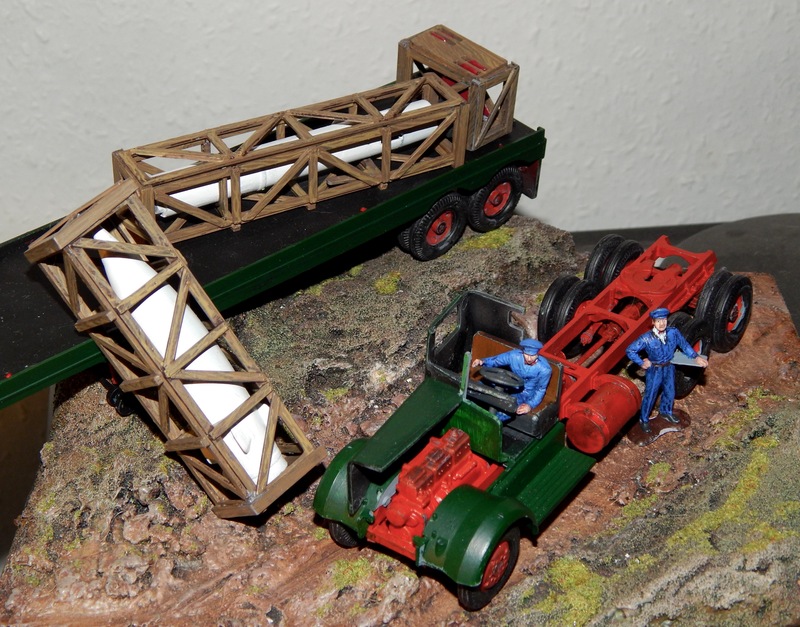 Have started this classic construction kit from Revell. 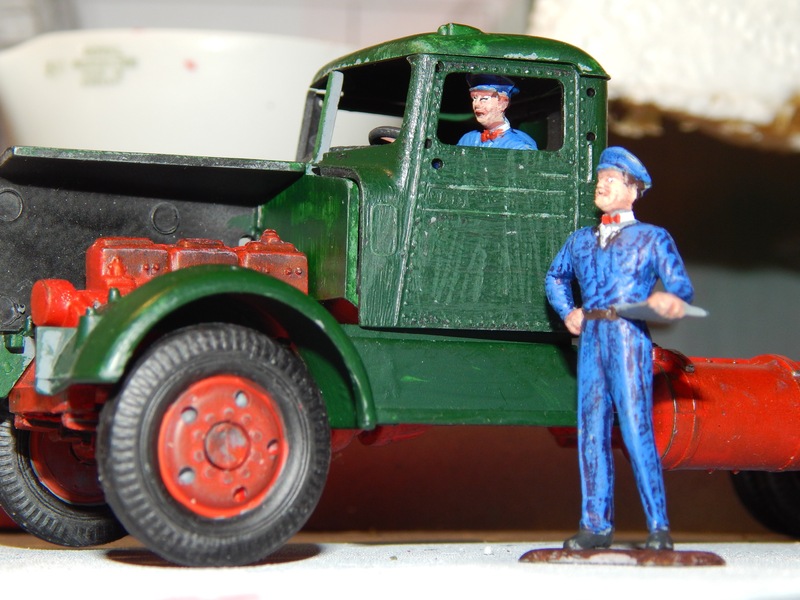 Primed everything in Halfords Plastic Primer. 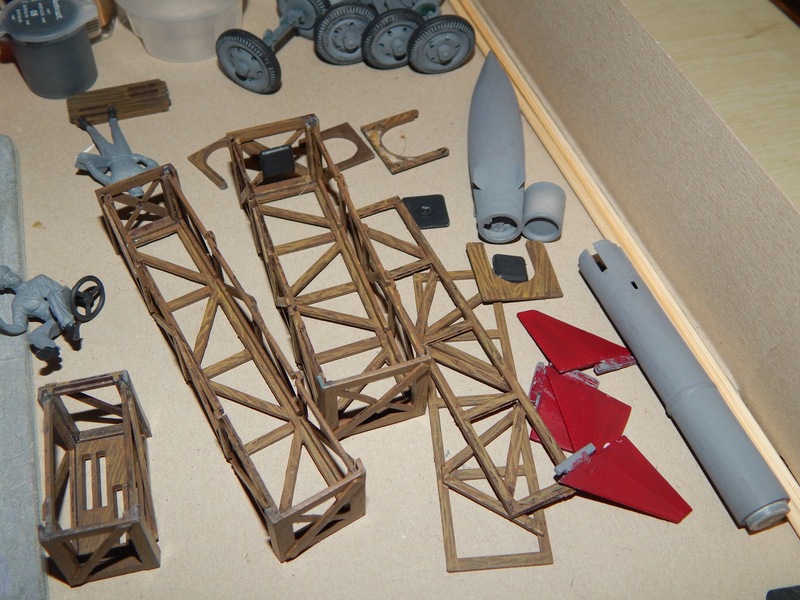 Painted and assembled crates. 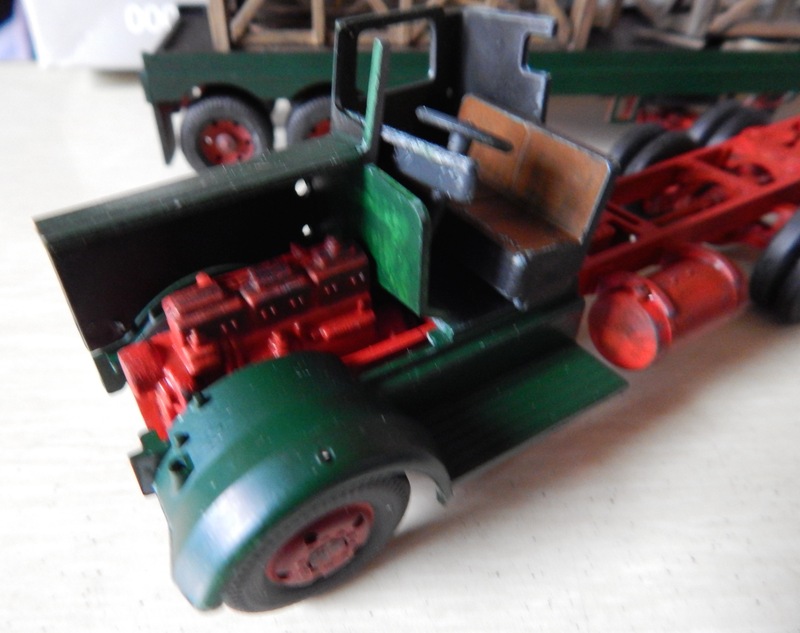 Quite pleased with the wood effect paint job. 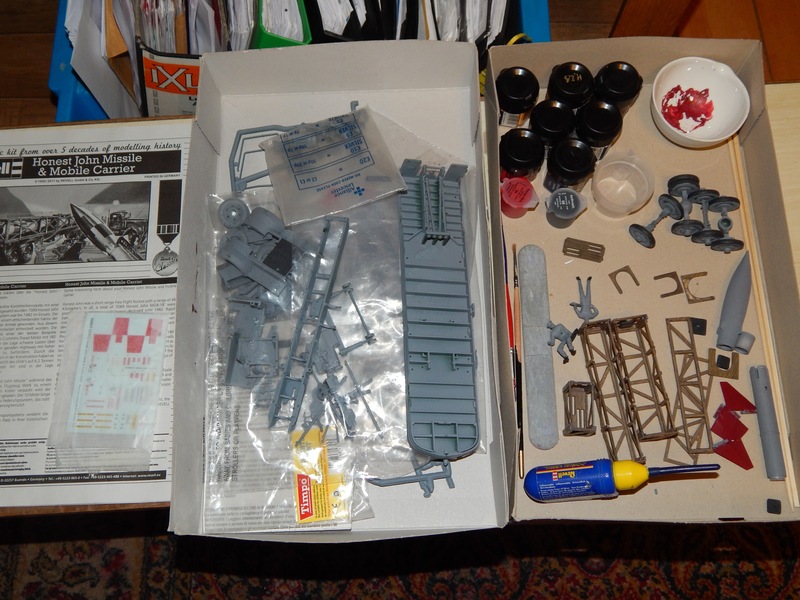 I have primed all the parts and started to assemble. 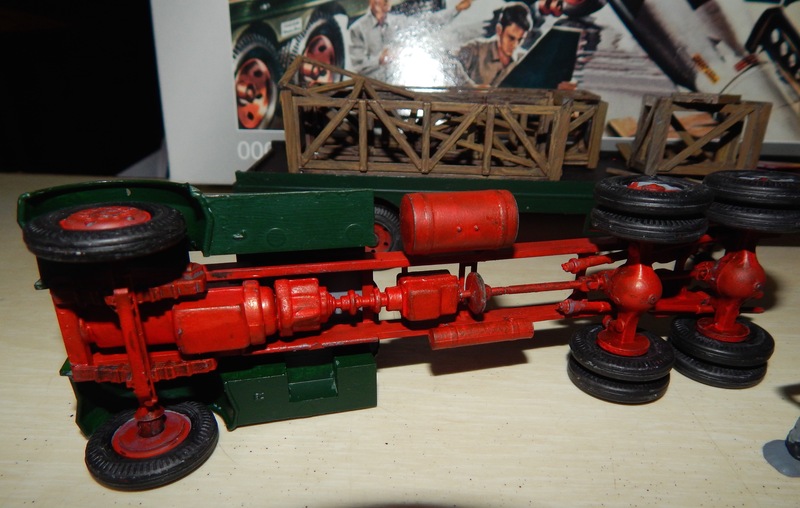 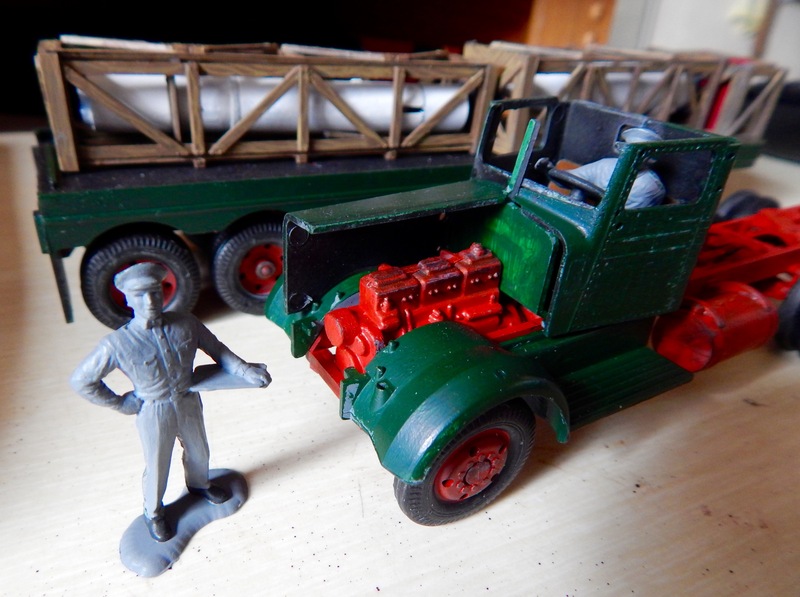 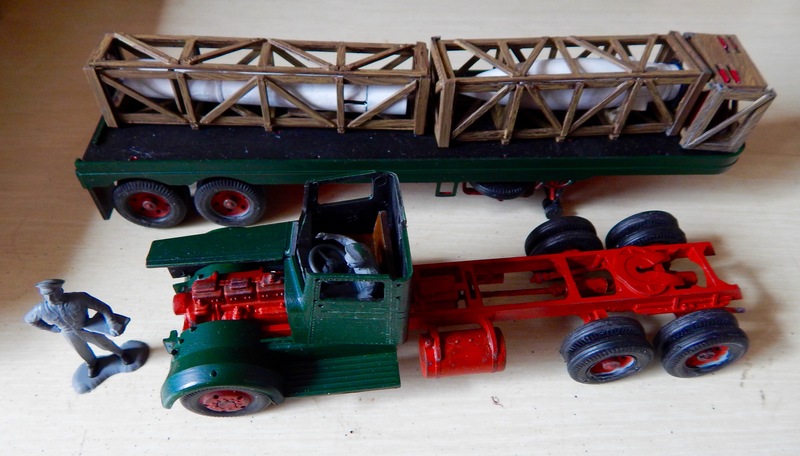 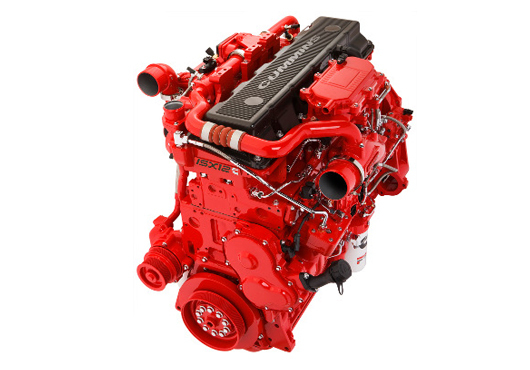 Have been working on the Kenworth Truck and Carrier – Wheels painted, bulk of red metal parts and truck cab more or less complete. 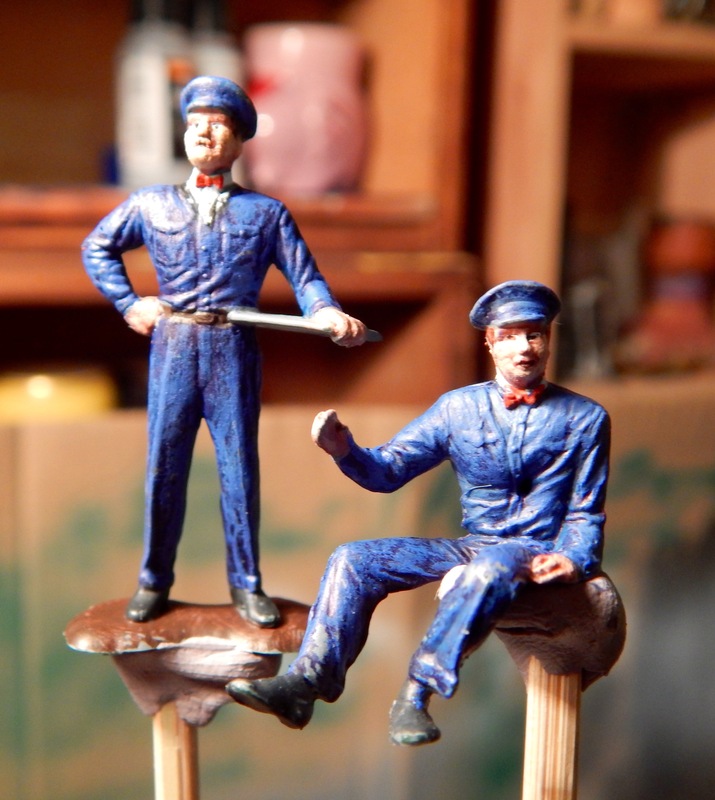 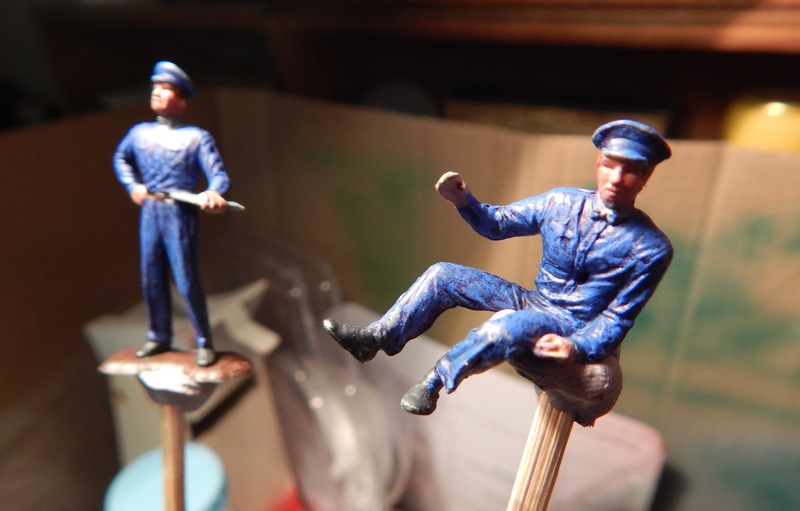 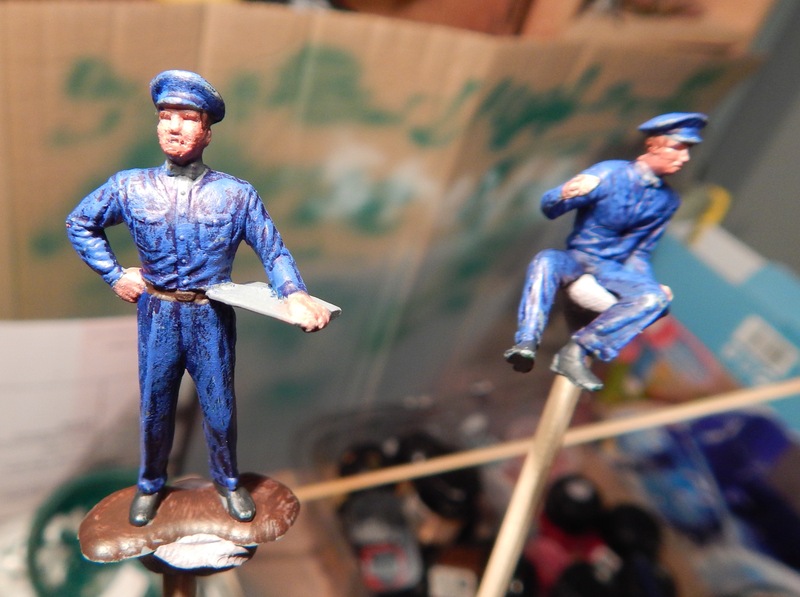 Mounted the figures on BBQ skewers and stuck in a polystyrene block and began to paint, Decided on a blue uniform for both figures.